Funsize Physics is not responsible for any minds that are blown. That tongue-in-cheek waiver, which immediately greets visitors to the website Funsize Physics, fittingly manages to capture both its spirit and mission in one short sentence. 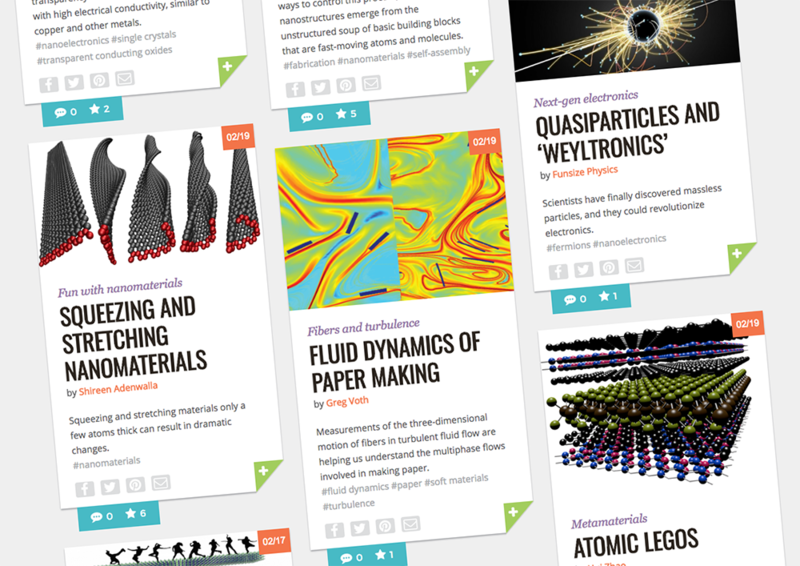 Launched by the University of Nebraska-Lincoln with support from the National Science Foundation, the website features brief highlights of condensed-matter physics research and classroom activities written by NSF-funded researchers from across the United States. That, in a nano-shell, is condensed-matter physics: the cooperative behavior of atoms or molecules from which strange and exotic phenomena emerge. The interactions that can turn a liquid into the “anti-molasses” form of matter known as superfluid, for instance. Or the atomic structure of a material that allows an inkjet printer to churn out solar cells. Or the assembly of carbon-based “onions” small enough to ferry therapeutic drugs through a bloodstream. Those phenomena, and many others, get their due on Funsize Physics in the form of easy-to-read posts that favor approachability over technicality. The website, which went live in 2016, recently received another round of funding from the National Science Foundation. Since the launch, researchers at more than 20 institutions – ranging from the University of Southern California and Ohio State University to North Carolina State University and the University of Pittsburgh – have contributed. Most have come directly from the field of condensed-matter physics, though Adenwalla welcomes anyone funded by the NSF’s Division of Materials Research – chemists, engineers, biologists – to submit entries. To reach that goal, Adenwalla and Bosley first had to answer one of the most fundamental but often daunting questions facing any communicator: Who’s the audience? Knowing that they wanted to reach anyone without a physics background but with an interest in the field, the pair initially gave little guidance on how much breadth or depth the submissions should encompass. But after receiving a wide range of submissions – everything from dense, lengthy write-ups to equations with little text explaining them – Adenwalla and Bosley reconsidered their approach. Adenwalla and Bosley also had to decide which aspects of the research to highlight. 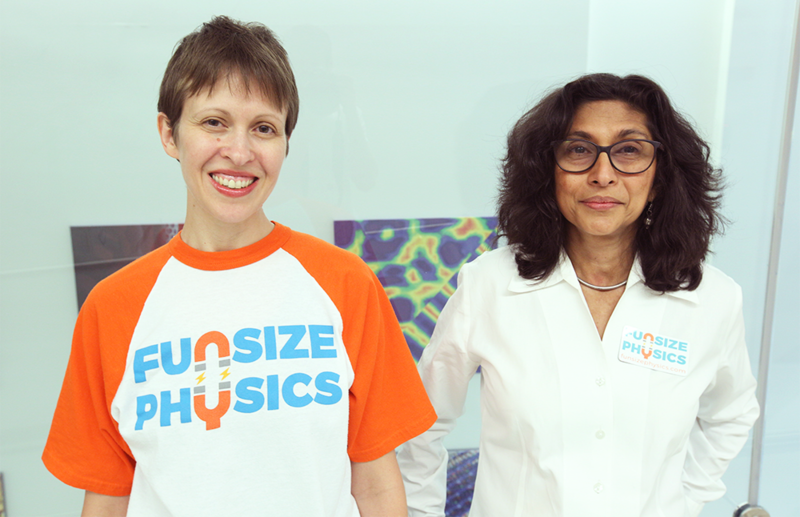 The fact that condensed-matter physics has spawned countless technologies – and continues to drive innovation across virtually every industry – makes a compelling case for covering its applications, which the site does. Though Adenwalla described herself as “not very good” at explaining physics to lay audiences, she conceded that she has improved since undertaking the Funsize Physics project. And that, said Bosley, represents the website’s other primary objective. “I think there was a sense (among some contributors) – much like the sense people have about other skills, like writing and speaking – that you’re just innately good at it or not,” Bosley said. “And if you’re not, then you’re off the hook. You don’t have to try to do it. So I think that was a problem. Crafting a post that balances information with brevity, nuance with comprehension and accuracy with readability can test even the most conscientious writer, Adenwalla said. But the site’s contributors have reported learning a lot that they plan to apply going forward, she said, and most have found it more charm than chore.